The study, “Evidence for an association between endometriosis, fibromyalgia and autoimmune diseases,” was published in the American Journal of Reproductive Immunology. Fibromyalgia, a disorder characterized by widespread musculoskeletal chronic pain and primarily affecting women, is associated with a higher prevalence of endocrine (hormone-related) disorders and problems in the genital and urinary organs. In addition, previous studies in women diagnosed with endometriosis after surgery reported a high prevalence of fibromyalgia and autoimmune diseases. However, due to the limited scope of these studies, which looked only at women whose endometriosis was confirmed by surgery, the real prevalence of fibromyalgia in women with endometriosis remains unknown. To investigate the prevalence of and the association among endometriosis, fibromyalgia, and autoimmune diseases, a group of researchers did a retrospective analysis of data from the Maccabi Healthcare Services (MHS), a large healthcare plan in Israel, with more than 2 million members and representing 25% of the Israeli population. 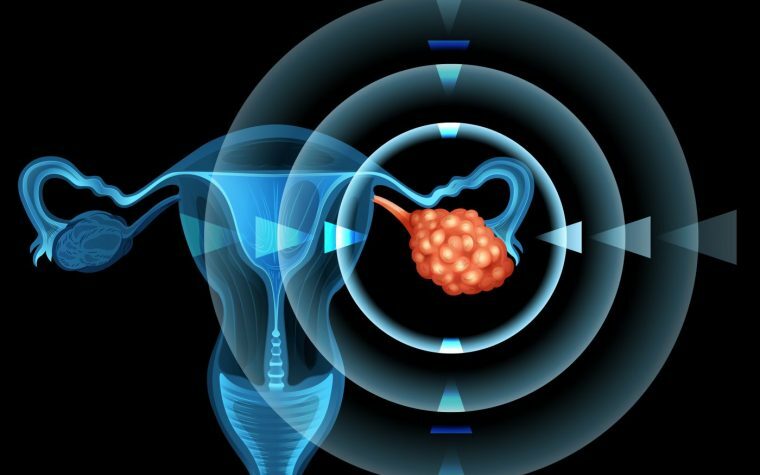 The analysis included women diagnosed with endometriosis and/or fibromyalgia and a control group of women from the MHS general population without either of the conditions. In total, 781,571 adult women were considered eligible for the study, of whom 6,647 had endometriosis and 25,425 had fibromyalgia. Co-occurrence of both conditions was detected in 401 of the cases. Mean age at diagnosis was 42 years for endometriosis patients, 55 years for those with fibromyalgia, and 47 years for women with both conditions. Most of the women (43%) with both conditions were diagnosed with fibromyalgia before endometriosis. In 17% of the cases, patients were diagnosed with both endometriosis and fibromyalgia in the same year. The analysis showed that the prevalence of fibromyalgia was significantly higher in women with endometriosis (6%) than in the control group (3.2%). Additionally, women with both endometriosis and fibromyalgia had a higher prevalence rate of autoimmune diseases. In particular, inflammatory bowel disease, characterized by chronic inflammation of the gut, was diagnosed in 6.2% of women with both conditions compared with 1% in the control group. Other autoimmune diseases included systemic lupus erythematosus and Sjögren syndrome. The researchers also explored the prevalence of anxiety and depression among these patients. Almost two-thirds of women with both endometriosis and fibromyalgia had a history of depression or anxiety. The incidence rates were more than double that of the control group. Women with both conditions also had a higher rate of hospitalizations than the control group, with the later being more likely to have been hospitalized in the previous year, highlighting the negative impact of these disorders in patients’ quality life. This study shows that the burden of autoimmune diseases is higher in women with endometriosis and fibromyalgia, than in women with none of these conditions. These findings support the hypothesis that endometriosis and fibromyalgia have an autoimmune element. “In effect this means that diagnosing either or both conditions should prompt a search for other [autoimmune diseases] which need to be ruled out in order to achieve more accurate patient care,” the researchers wrote. These results “may inform further research into the association between endometriosis, fibromyalgia, and autoimmunity, and contribute to developing a more comprehensive approach to managing the complex needs of these patients,” the study concluded. Tagged anxiety, autoimmune diseases, depression, fibromyalgia, inflammatory bowel disease.